Sometimes when a volunteer performs a service for a member—such as driving or helping with a household project—that interaction sows seeds that grow into real friendship. 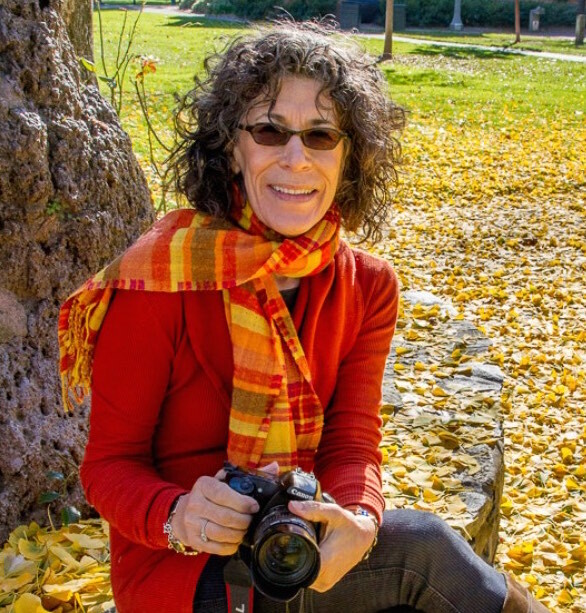 Writer Cynthia Bix and photographer Nancy Rubin tell the stories of these inspiring member-volunteer friendships, bringing them to life through photographic portraits and the pairs’ own words. With the photo exhibition entitled “Reframing Aging” Ashby Village inaugurated its Village Gallery in July 2018. The exhibit featured the words of twelve vibrant Ashby Village members. The brief text was culled from much longer interviews. Each person shared so many interesting thoughts and ideas that we wanted to share more of their words. So each month, we will feature an extended version of an interview with one participant. More than a dozen volunteers joined Manuela Pegoraro, Ashby Village Community Engagement Manager, on sundrenched Solano Avenue early on Sunday, September 10. The annual street party known as the Solano Stroll was about to begin. Read story. On Auguts 24, 2017, twenty Ashby Village members and volunteers gathered on a gray August morning in the former Jewelry Mart in San Francisco’s south of Market neighborhood. A private tour of one of the most famous tech companies of the Bay Area, Airbnb, was about to start. Read story.